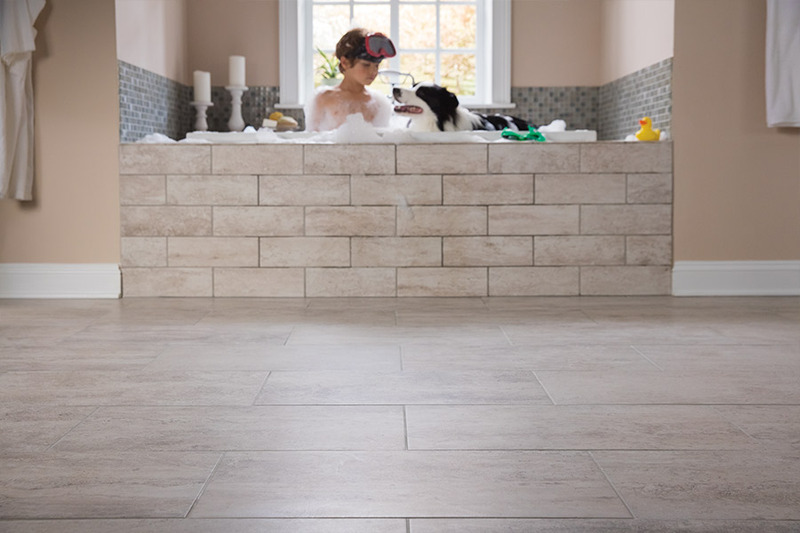 Some people and even some flooring salespeople will use ceramic and porcelain interchangeably when speaking about tile. However, even though they are similar, they are not the same thing. There are some stark differences amidst the similarities that may make one a better choice for your personal style than the other. That’s why it’s important to know the difference. At Dunedin Floors and Granite, we want to make sure you know what those differences are so you can make the most educated decision. Ceramic tile is made up of natural products, primarily sand and clay. It is then fired in a hot kiln once it has been molded into the shape that is desired. While ceramic tile comes in both glazed and unglazed tiles, most homeowners choose the glazed. Ceramic is very durable and stands up well in a variety of situations including heavy traffic, children, pets and even areas that are prone to moisture. If an abrasive glaze is used during the manufacturing process, it then becomes slip resistant. Many homeowners enjoy the ability to put them in open, sunny rooms since their color is unlikely to fade in such a circumstance. They are also very hygienic in that they are easy to clean and you can use a variety of different cleaners on them with no ill effects. Porcelain tile has many of the same characteristics as ceramic tile, including the ingredient makeup. However, there are some differences that set porcelain apart from ceramic. Porcelain is much harder and stronger than ceramic tile, which makes them perfect for even the most-high traffic areas of your home. You will see very little in the way of wear on porcelain in these areas. 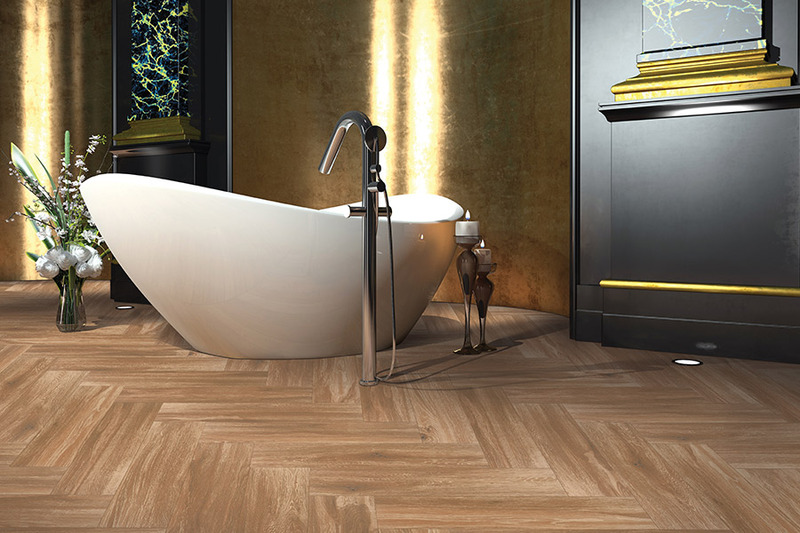 Since porcelain tiles are less porous than ceramic, they are far less likely to soak up stains. Spilled drinks, food and even chemicals are little match for the stain resistance of this tile. And just as ceramic, porcelain tiles are very easy to clean and do not require sealing, waxing or polishing to maintain their beauty. 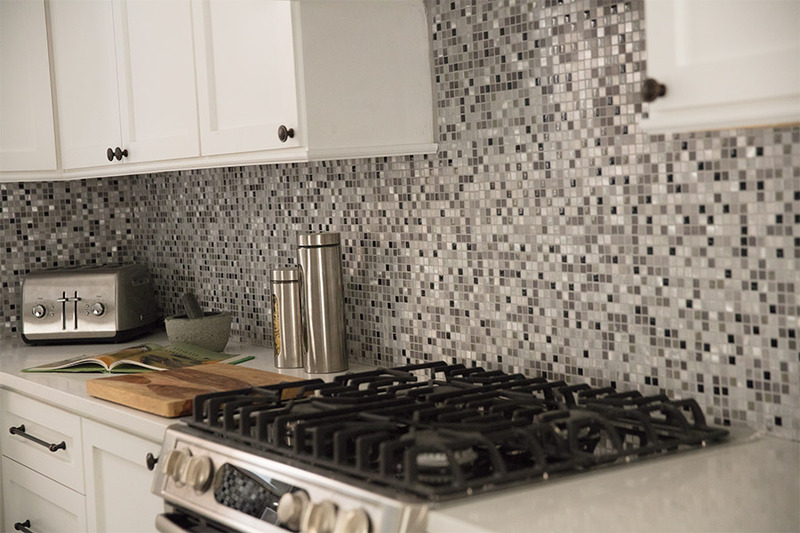 Some homeowners enjoy a good DIY project, but these tiles are not the place to start. This especially holds true for porcelain tiles. One could possibly get away with a DIY ceramic tile install, but porcelain is a much harder job. Due to its hardness and density, they are very easy to break when installing. It’s best to allow a professional to do this job. Our showroom is located in Dunedin, Tampa, and Holiday, FL. 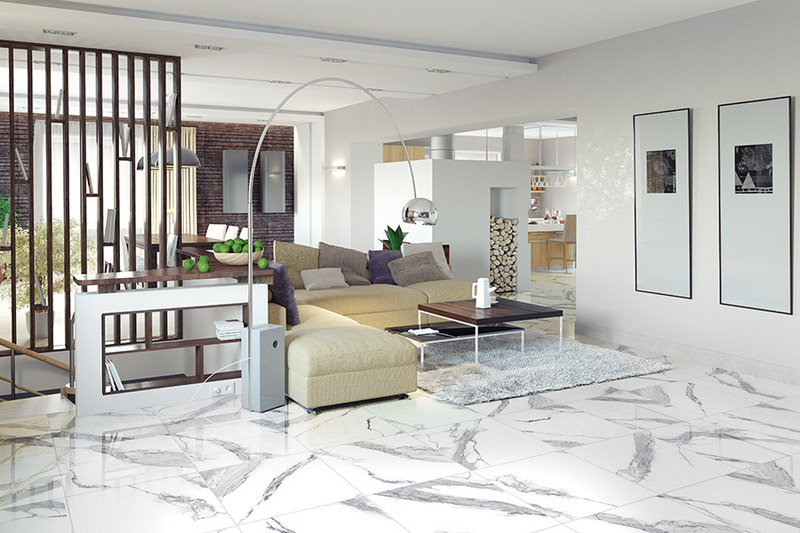 At Dunedin Floors and Granite, we would be happy to talk with you about a ceramic or porcelain tile installation.